Brand comparisons for any product are difficult, but it is especially thorny when dealing with two large window companies such as Pella and Andersen that have reasonably good reputations and long histories. The truth is that most of the large, established window companies deliver good window products that will work very well in your home if they are installed properly. While local, non-branded window companies can often cut great deals and provide excellent service, most reports of bad installation experiences come not from customers of the big names—Pella, Andersen, Marvin, or Jeld-Wen—but from those who purchased from lesser-known companies. Choosing a replacement window from either Pella or Anderson will give you a decent product that is well-installed and backed by a company that is accountable for its product. Still, there are differences. Andersen Corporation was founded in 1903 by a Danish immigrant, Hans Andersen, in Husdon, Wisconsin, and is today located in Bayport, Minnesota as an international company with more than 12,000 employees. As of 2016, it reported $2.5 billion in annual sales. The company is organized into three business units, the Renewal Division, The Home Depot Division, and the Residential and Commercial Pro Division. 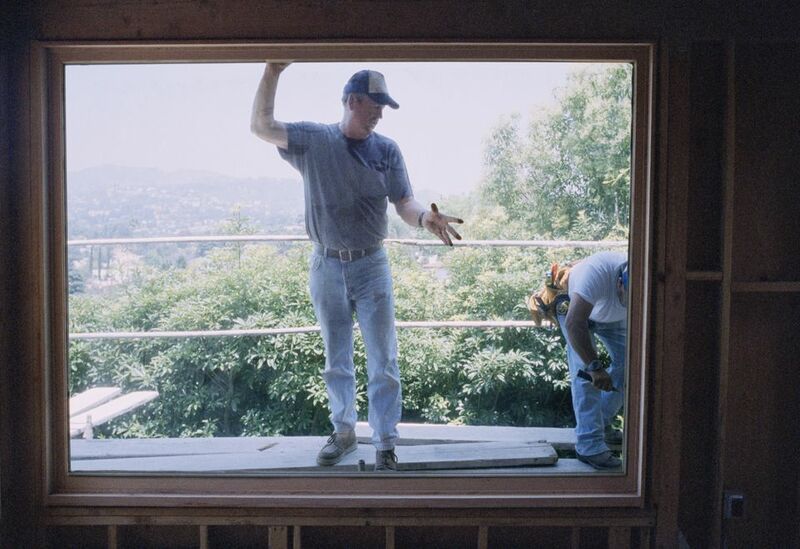 The Renewal by Andersen brand is the start-to-finish window replacement division of Andersen, by which consumers can buy window-plus-installation packages from authorized Andersen installers. Home Depot is the big-box outlet for Andersen, offering windows from both Andersen and its subsidiary, American Craftsman. Pella Corporation is a privately held company based in Pella, Iowa, and employes about 9,000 employees, with an annual revenue of just under $2 billion. It was originated in 1925 by Peter Kuyper who created and sold a particular kind of insect screen that rolled out of sight when not in use. The company soon merged with the Kuyper family's lumber business and began its evolution into one of America's largest window and door manufacturers. Since 2001, it has sponsored the Pella Design Centers in the Lowes Home Improvement chain. One chief difference between Pella and Andersen is the choice of materials for their replacement windows. Pella: The division making replacement windows, Replacement By Pella, offers mostly all-vinyl replacement windows, but it also offers replacements with fiberglass and wood frames. Andersen: Andersen tends to steer clear of all-vinyl windows. Instead, it uses a proprietary wood composite material called Fibrex. Fibrex is composed of 40 percent recycled Ponderosa pine wood fibers and 60 percent polyvinyl chloride (PVC). This is not to say you can't purchase vinyl windows from the Andersen group. New-construction windows through the American Craftsman By Andersen unit are available in vinyl. When you contract directly with Pella or Andersen to supply and install replacement windows, you are actually dealing with a qualified independent local company that has the power to adjust the total-package price in order to make the deal happen. If you have ever bought a new vehicle, you know how two dealers can offer different prices on the same vehicle. A similar model applies to the window industry. For this reason, homeowners may have different experiences when contracting directly with Andersen or Pella for replacement windows, based on variable factors such location, type and number of windows, and the homeowners ability to negotiate and haggle. Cost estimates below are taken from a wide sampling of replacement windows in double-hung, slider, or fixed window styles. Pella replacement window prices hover in the $770 to $1,000 range per window, installed. A typical report for the lower end of Pella prices is $10,000 for 13 Impervia double-hung windows or $769 per window. On the high end, another homeowner paid about $10,000 for 9 windows (seven double-hung windows and two sliders), or about $1,100 per window, installed. Pella's costs for services calls ranged from $95 to $160. Renewal By Andersen prices rarely begins at less than $1,000 per window, installed. In the survey, most prices hugged the lower end of the $1,000 to $1,400 range. In 2009, Andersen began to disclose price estimates online through a tool called IE, but this service has since been discontinued. Pella's windows tend to be at least 20 percent cheaper than Andersen windows. The top end of Pella's prices are roughly where Andersen's prices begin. Complaints against Pella and Andersen are difficult to evaluate since many consumers are unable to articulate the difference between an inferior product and poor installation. In fact, it is not always easy to determine this, as product and installation can appear to merge. True product comparisons require accurate distinctions made between problems that are based on installation errors and those that are product-related. For example, if a customer complains about water infiltration around the window frame, it indicates an installation issue, while a failed seal in the insulated glass panel is clearly product related. Around 50 percent of consumer complaints center around claims of an inferior product. The majority of the other claims can be traced to poor service from the local Pella dealer. In 2006, Pella was served with a class action lawsuit alleging that its ProLine Series of casement windows "had a design defect that allowed water to enter behind the window’s exterior aluminum cladding and cause damage to the window’s wooden frame and to the house itself." The case made news if only because of the inept handling of the suit by the plaintiffs' lawyers. In 2014, Judge Richard Posner found many improprieties in the case, including the fact that the class plaintiffs' attorney set up his father-in-law as the lead plaintiff. The total number of Andersen complaints are far less than Pella complaints—about 90 percent less. Most complaints center around claims of rude or deceptive salespeople, with very few complaints related to an inferior product. In 2009, a homeowner attempted to bring a lawsuit against Andersen alleging that the capillary or breather tubes fitted into the windows' glass (a feature used to prevent windows installed at high altitudes from breaking) also resulted in a loss of insulating argon gas, which reduced the windows' efficiency. Andersen countered that it expressly discloses the possibility of gas loss in its product guides. The plaintiff changed the theory behind his complaint several times, but the court eventually dismissed the case, citing those "shifting theories of liability," among other problems. Andersen receives vastly fewer complaints than Pella across all complaint categories. Even some Pella installation technicians have noted that they occasionally take delivery of defective products.